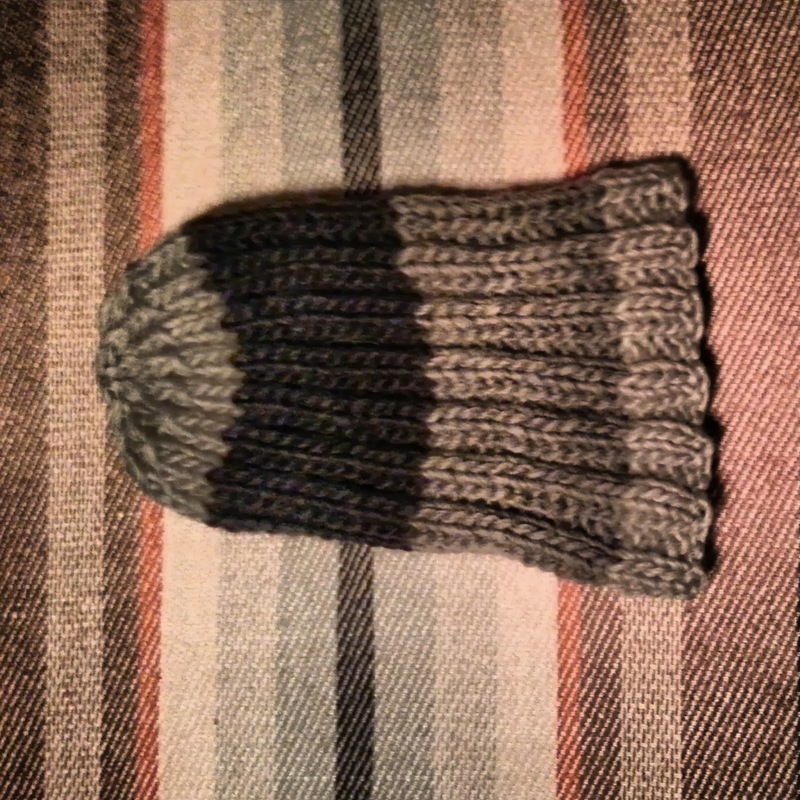 Here's a hat I've been meaning to knit for ages. I made it from leftover bits of super bulky and I really like the way it's turned out... apart from the stripes, which don't suit me, unfortunately. 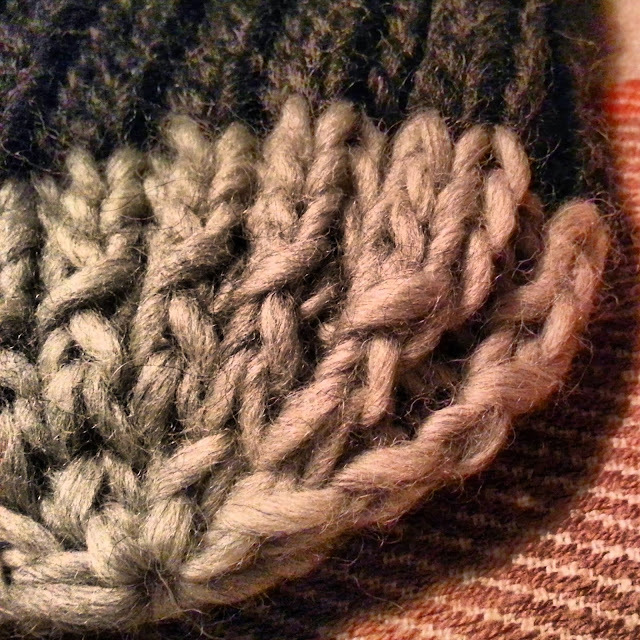 I'm going to publish a proper pattern later, but it's basically a double rib over 56 stitches... hence the name.